also I am finally wearing EOS adult grey that Pinkyparadise have sponsored. chains come in 16 or 18" I am wearing 16"
i just bought the earrings! you finally made an erring without the ear hooks. I don't like using ear hooks because im afraid that it doesn't fit my ears because my pierce is higher than its supposed to be. Everything is absolutely beautiful!!! You look so cute and pretty with your pieces hun! Those lens look amazing! I been looking into grey lens hehe. Thanks for all your hard work. <3 u!!! The new jewelleries are beautiful! Really elegant too...!! 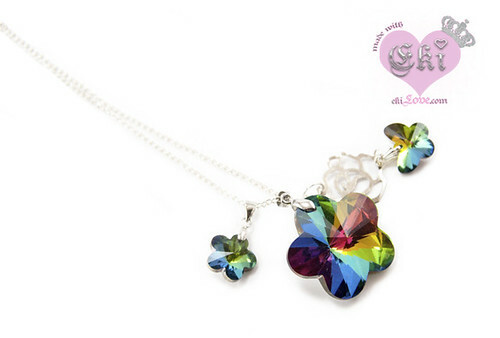 Eki I love the Spring Love Necklace! I actually love them all =). They're gorgeous! And you're beautiful in all your pictures!! Aww you're so gorgeous Eki! I love all your new creations, the earrings are so princess-like! The new items all look absolutely stunning! I grabbed myself one of the Royal Love necklaces. It just looks too good to pass up :) Keep up the great work! 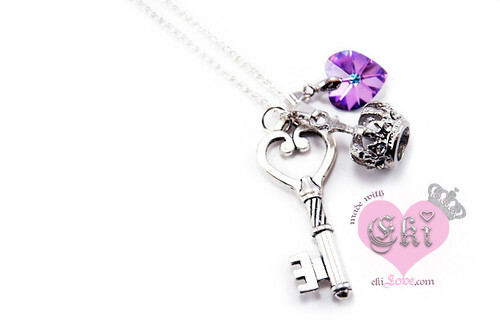 That key necklace is so pretty... I love it! I also wanted to tell you that your makeup looks so good in your pictures! I love the eyeliner! boo.. =( Unfortunately, I didn't get a chance to buy the Hime earrings and necklace since it told me it was sold out during check out =(.. Hee x2, I was checking all day yesterday too~! =P. Hopefully, you'll be making more? I really hope! omg eki! they look gorgeous!! 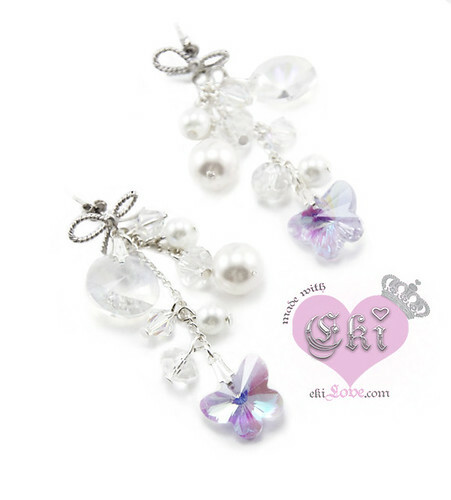 especially the hime earrings and bracelet! I love love love the bow stud on those earrings! SO CUTE I am dying! the earrings look gorgeous on you. Your make-up is flawless! I learn a lot from your blogs.I really enjoy your style~ I love your contacts,they look great on you.I am wondering on which pair of circle lens to get myself. Everything is so gorgeous!! ANd on you it looks even better!! Eki doing self modeling will only help your sales! ;) Fab pieces on a fab woman!